Install freestanding walls, knee walls, sitting walls, retaining walls, planters, tree rings, garden borders, columns and more. 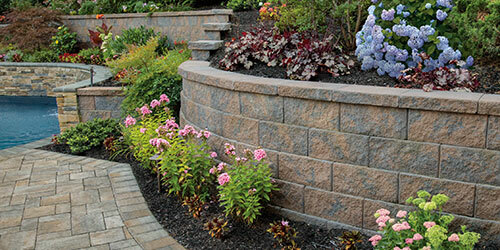 Create short or tall walls in straight, curved, serpentine or circular designs. 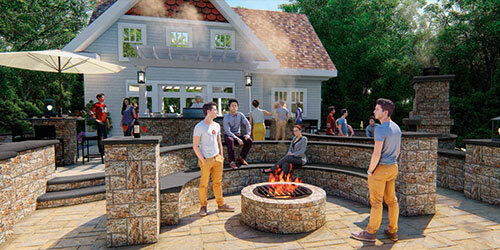 Add a barbeque and fire pit, built-in outdoor kitchen and refreshment bar. 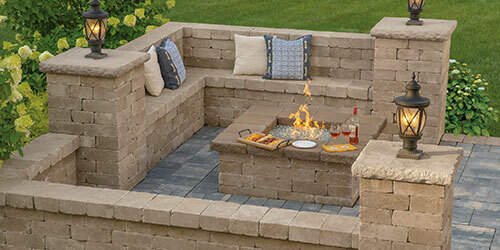 Choose from several styles in colors that match or complement Cambridge Pavingstones to complete your landscape design. 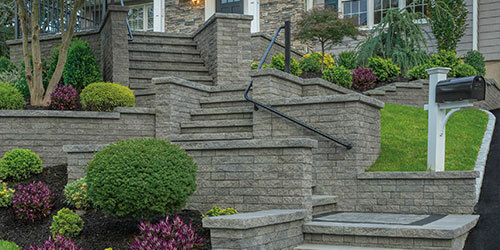 Double-sided, multi-face, available in Split Face and Renaissance Stone for walls up to 3 ft. high and engineered for walls of any height or length. 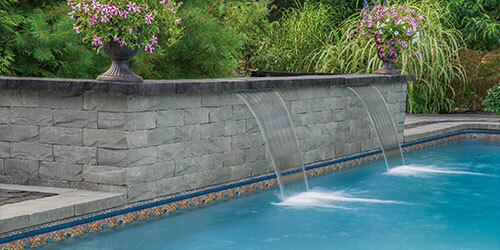 Double-sided, available in Split Face and Renaissance Stone for walls up to 3 ft. high. Distinguished by its natural looking, rock face with bold ridges and deep clefts. A double-sided tumbled modular unit with distressing on all surfaces. 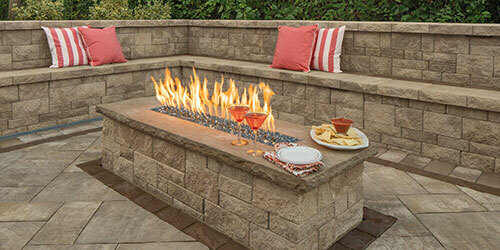 Engineered design for walls of any height or length. New for the summer of 2019.